BEST SALE OF THE YEAR – 48 HOURS ONLY! UP TO 50% OFF when you buy one or more bricks! 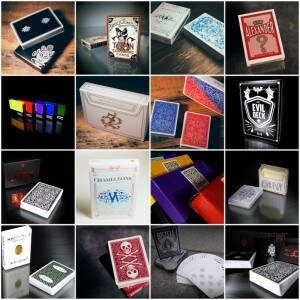 Prices are for 12 decks of the same kind/color/finish. No mixing. Shipping additional. Decks may not be shipped in actual brick boxes. Early and Rare decks by Conjuring Arts – some SOLD OUT for years!